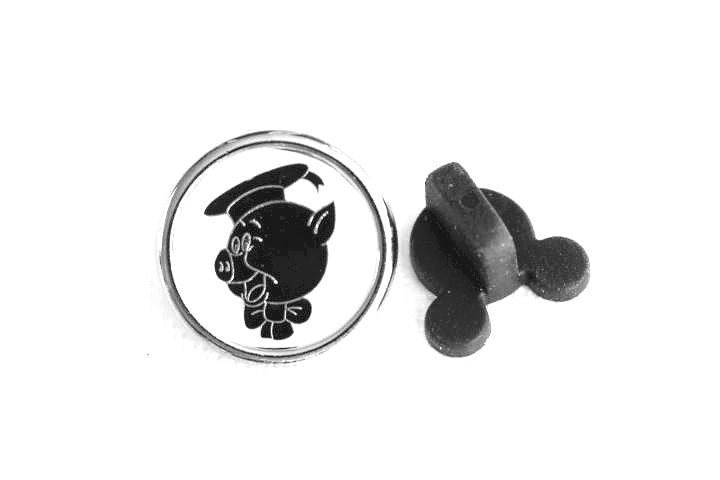 This rare Disney pin for sale features the Fiddler pig from the Three Little Pigs cartoon with the Big Bad Wolf. It is very small or tiny, Limited Edition of only 500, and from a Cast Member Exclusive set that is now retired. The pin is made to look like a Type Writer Key and is called "Type Cast".